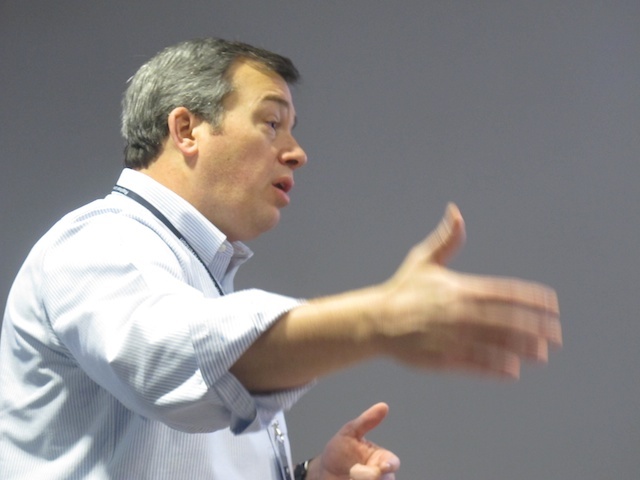 NOTRE DAME, INDIANA – On April 26, 2014, AIPR Academic Programs Coordinator Dr. James Waller delivered the keynote commemoration at a remembrance ceremony marking the 20th anniversary of the genocide in Rwanda. His address, “Towards Remembrance, Unification, and Renewal,” outlined the challenges posed by these three issues both for Rwanda and the world. More than 200 people attended the ceremony at Notre Dame University’s McKenna Hall. The Notre Dame commemoration capped off series of high profile public events in April 2014 for Dr. Waller. Also this month, he delivered talks Sonoma State University, Ryerson University, and the University of New Hampshire about his book, Becoming Evil, lectured to more than 1,200 high school students in Vancouver, British Columbia, and another 1,200 high school students in Hamilton, Ontario, on genocide awareness and prevention, and led a response panel to Watchers of the Sky, a film about Raphael Lemkin, at the Monadnock International Film Festival. 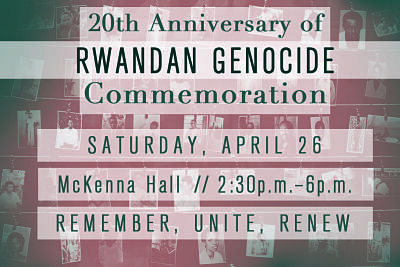 It’s always an honor to be invited to participate in commemoration events such as these, particularly on the 20th commemoration of the Rwandan genocide. To join the Rwandan community as it remembers, and continues to heal, from the tragedy of 1994 is a very powerful reminder of the important work that we all have ahead of us in genocide and mass atrocity prevention.